"We Kick'em Out...We Keep'em Out!" - Woodchuck removal from garden? Also called Groundhogs, Woodchucks (Marmota monax) are usually seen out in the yard during a nice sunny day. Digging large holes and throwing heaping piles of dirt out of their burrow, indicates one or more of the pesky animals. Common complaints are the holes, flower and vegetable gardens totally destroyed and dams or dikes weakened by the digging. Groundhogs feel safe when their burrow is underneath another object such as steps, deck, porch or shed. Groundhogs are true hibernators, going to sleep in their burrows by October and don't usually surface again until mid to late March. Brown is the most common color, but they can be from pale to black. They have short legs and tail and weigh 8-10 pounds, with some even heavier. Groundhogs have an annual litter of 2-9 pups, born in late March or early April, or throughout the summer, weaned by mid summer to early autumn. .
We can remove groundhogs and get rid of woodchucks by trapping, removal and control. We can install screen to your deck, porch or shed to prevent further entry. It’s always discouraged to feed or handle woodchucks or other wildlife. This Woodchuck was released on my own property and posed for a what I thought was a funny picture. Call us at a number local to you. CT woodchucks, woodchuck burrows, groundhog in the garden, woodchuck under steps deck porch, New London county, Providence RI, groundhog, gopher, groundhog removal, woodchuck trapping woodchuck damage. woodchuck eating my vegetables. groundhog burrow. Woodchuck damage. Groundhog damage. Woodchuck hole. Groundhog in the garden. Groundhog trapping. Groundhog control. Woodchuck control. 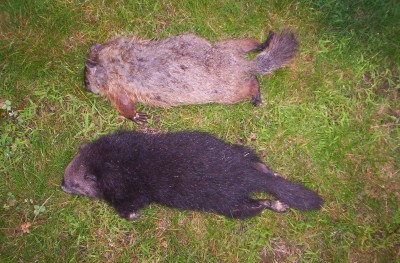 Woodchuck removal. Groundhog removal. Baby woodchucks. Woodchuck removal. woodchuck control. groundhogs. grounghog removal. groundhog control. 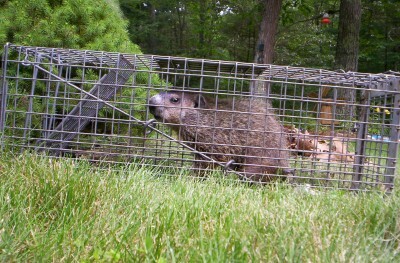 woodchuck trapping. groundhog trapping. how do I trap a woodchuck? how do I trap a groundhog? how do I remove woodchucks? how to remove groundhogs. How do I remove groundhogs? How do I get rid of woodchucks? woodchuck in the garden. woodchuck in the flowers. groundhog eating my flowers. groundhog digging burrows. woodchuck burrow. baby woodchucks in yard. woodchuck under my porch. groundhog under my steps. woodchuck under the deck. groundhog under the deck. woodchuck damage. groundhog digging holes. groundhog/woodchuck. How do I get rid of groundhogs? Animal Evictions, LLC ® 2017.